After breakfast Rosabelle starts a new non-fiction book called Lies My Writing Teacher Told Me. Meanwhile Pawel goes collecting around the neighborhood. Rosabelle met him by one of the ponds while he was collecting and they took a selfie. They then go to the Desert Bloom Park & Pool to check on the dig sites and other collectibles. 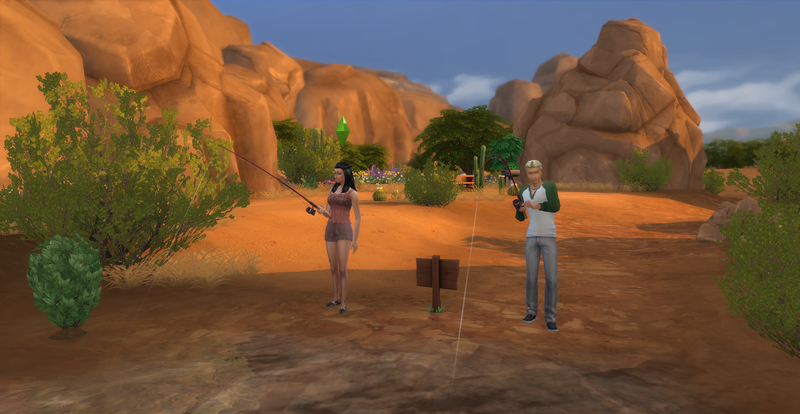 Unfortunately none of the sites have respawned so they go fishing for a few hours. 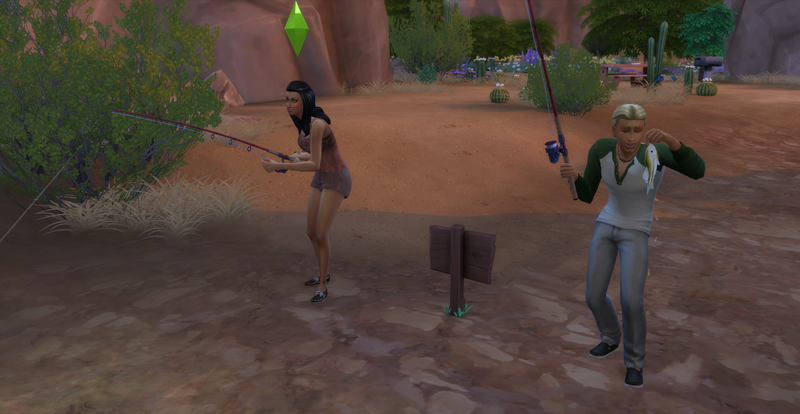 Pawel is pretty good at this fishing thing! 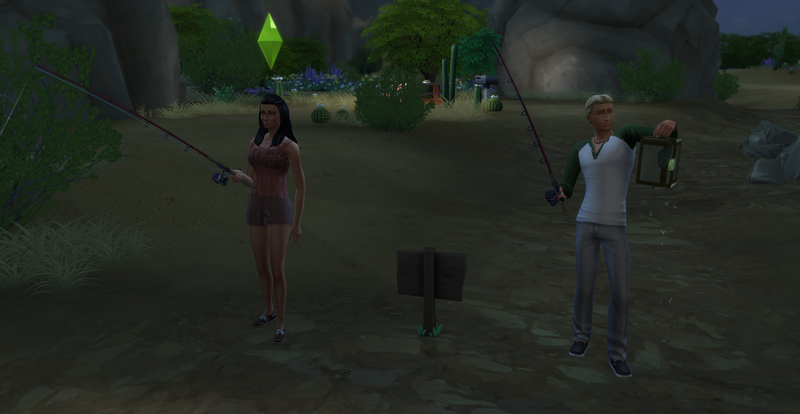 They fish late into the night and Pawel even catches a cow plant berry! They return home tired and ready for bed, this ends Week 2 of the Challenge! Check back soon for Week 3: Day 15 of our Challenge! I like this challenge a lot! I think I might try this when I finished my legacy. I highly encourage you to try it. 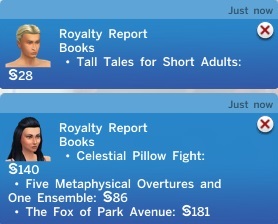 I have always played with money cheats (I’m a big builder) and it is so satisfying gaining money so I can buy things to make my sims life easier! They are doing a great job making money by collecting and fishing! They are also working on improving their garden and they earn a bit in royalties too!